Because of the role of his views in later church controversies, his name would become rather black amongst many in the Canadian Reformed Churches. But you do not have to appreciate or endorse the idiosyncrasies of Kuyper’s theology to understand that he has a played a huge role in shaping who we are as Reformed people today. Here we will explore his life’s story and elsewhere, in this same issue, dip into his theology. Let’s start at the beginning. 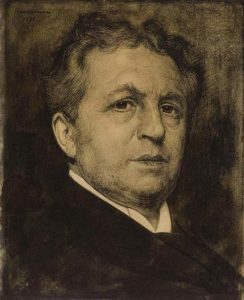 Abraham Kuyper’s father was Jan Frederik Kuyper. He was a minister in the Netherlands Hervormde Kerk (NHK), the official Dutch state church. Jan Kuyper had already been a minister for six years when 120 conservative congregations left the NHK in the “Secession of 1834.” However, he did not join them. He wasn’t a liberal, but he wasn’t completely confessionally Reformed either. He was just happy to stick with the status quo. Abraham was born October 29, 1837 in Maasluis, just outside of Rotterdam. For what we would call elementary school he was homeschooled by his parents. When he was 12 years old, his family moved to Leiden and there he went to school for the first time. This would be similar to our high school except that it was oriented to academics – it was preparation for university studies. He studied there for six years and then, in 1855, when he was 18, he began studies at the University of Leiden. There he pursued what for us would be the equivalent of a Bachelor of Arts degree. He graduated with the highest honors – obviously a bright and gifted student. He even stopped praying altogether. He remained a member of the Hervormde Kerk, the NHK, at least on paper. But his faith shriveled, to be replaced by the modernism and liberalism then in vogue. Related to this point, Kuyper didn’t make public profession of his faith. In fact, it would not be until some years later, after he graduated from seminary and was a candidate for the ministry, that he would finally take that step. Even then, there wasn’t much faith to confess. After graduating with his bachelor’s degree, Kuyper stayed on at Leiden University to study theology. Leiden’s theology department was a center for liberal theology. Some of the most notorious liberal theologians taught at Leiden. One of them was Prof. J. H. Scholten. He was a persuasive teacher of systematic theology. But he didn’t believe the Bible was the Word of God. When it came to formulating his system of theology, he relied more on reason than on revelation. Rauwenhoff was known as “the Defender of Modernism.” His teaching continued to send Abraham Kuyper down the path of unbelief. Yet God did not stop chasing him. A series of providential events led Kuyper back to faith. It began with learning how to pray again. The University of Groningen organized an essay competition. One of Kuyper’s seminary professors encouraged him to enter and write a research paper comparing the views of John Calvin with a Polish Reformer named Jan Laski. Kuyper was reluctant because there wasn’t much out there still available from Laski. Still Prof. DeVries encouraged him to persevere and sent him to his father in the city of Haarlem who had a large collection of books. The elder DeVries wasn’t sure where the books of Laski were in his library, but he told Kuyper to come back the next day. In the meantime he would check. When Kuyper returned, he encountered the very writings of Laski that he had been missing. Kuyper thought it was something like a miracle and from this point on he began praying again. This event also encouraged him to engage in some serious scholarship. He not only wrote a prize-winning paper on Laski, but also went on to write his doctoral dissertation on him, and later published a complete critical edition of Laski’s writings. But as far as his spiritual development was concerned this was only the small first step. He received his bachelor of divinity degree in 1861 and his doctorate in theology in 1862. Around the same time another piece fell into place. He read a novel. It is unusual in church history for a novel to play a role. More unusually, the novel was not in Dutch, but in English. It was a Victorian novel entitled The Heir of Redclyffe. 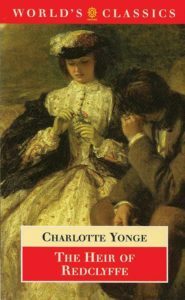 It was written by Charlotte Yonge. There were two things that Kuyper took away from this novel. First was a reorientation of his priorities. He came to realize that God values a broken and contrite heart and he began to feel that heart within himself. The second thing was a sense of the place of the church. At the end of the book, one of the characters dies and Yonge writes about how he had been prepared for that moment by “his mother church,” a church which had guided him all his life. When Kuyper read those words, he became jealous. He had never known such a church, but he wanted her. After receiving his doctorate, Kuyper was examined to be eligible for call in the Hervormde Kerk. He sustained his examination. However, there was a glut of candidates. Vacant churches could afford to be fussy and they were. It took ten months before Kuyper finally received a call. It was to the Hervormde Kerk in the village of Beesd, to the south of Utrecht. He was ordained as their pastor on August 9, 1863. He was married a month before this to Johanna Hendrika Schaay. His first congregation didn’t exactly welcome him with open arms. Kuyper had a reputation as a fence sitter. He was sort of liberal and sort of orthodox, but not really one way or the other. The more liberal minded in the congregation could live with a compromiser more readily than the orthodox. 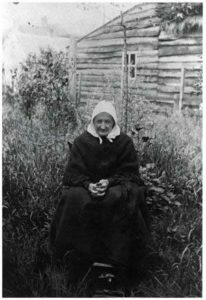 Amongst the orthodox was a single woman in her mid-thirties, Pietje (Pietronella) Baltus. Despite still being in the liberal-dominated Hervormde Kerk, she was a devout Christian. Rev. Kuyper did not impress Pietje Baltus. She wanted nothing to do with him. Nevertheless, Kuyper made his visits and soon was in her neighborhood. A neighbor told her that before long the new minister would be at her door too. She scoffed, “I have nothing to do with that man.” But then the neighbor said, “But don’t forget, Pietje, that our minister too has an immortal soul, and that he too is travelling towards eternity.” Those words changed her mind and the door swung open when the minister came to visit. Pietje Baltus became another instrument in God’s hand in the spiritual development of Abraham Kuyper. As he visited with her, she witnessed to him of her hope in Jesus Christ. She told him that he must have the same hope or he would perish eternally. This made an impact. Kuyper often came back to visit with her. She influenced him positively in a Reformed direction. He wasn’t yet totally orthodox in a confessional sense. But by this point God was breaking him away from liberalism and turning him back to true faith in Christ. As can be expected, these developments in his personal life had a bearing on his preaching and ministry in Beesd. This was partly because of a peasant woman who would otherwise receive no notice. Pietje Baltus is another example of how God used the weak and lowly in the eyes of the world to advance the Reformation of his church. Largely because of her, Kuyper would always have a special place for those he called the “kleine luyden,” the little folks. Kuyper spent four years in Beesd, and then, in 1867, he was called to Utrecht, a city slightly to the north. The consistory there was orthodox, though again, still part of the Hervormde Kerk. Yet controversy was brewing. There were two issues in Utrecht. One had to do with the formula for baptism. There were various words being used to baptize in the Hervormde Kerk. Some ministers baptized “unto faith, hope and love.” Others, “unto initiation into Christianity,” and there were other “creative” formulas besides. Under the leadership of Kuyper, the Utrecht consistory decided that they would not recognize any baptisms not administered in the name of the Father, the Son, and the Holy Spirit. They decided that guest ministers would not be allowed to administer baptism unless they promised to use the words of Christ from Matthew 28. Then the Utrecht Hervormde Kerk sought out other churches that were opposed to laxity on this issue. They formed an association of 143 churches that were dedicated to the Trinitarian baptismal formula. The other issue had to do with church visitation. In Reformed church government every year a pair of ministers are supposed to visit each church on behalf of the churches in a classis region. They look at whether everything is being done properly and then report to the next classis. In the Hervormde Kerk of this time, this was done in a different way. There would be two years where the “visit” was done in writing, and then the third year it would be done in person. Some of the questions asked by the church visitors had to do with doctrine, the doctrine confessed by the Hervormde Kerk. Kuyper and the Utrecht consistory recognized this for the farce that it was. There was no doctrine held in common by the Hervormde Kerk. So when the bureaucratic visitation letters came in 1867 and 1868, the Utrecht church just responded in a bureaucratic fashion by sending back some statistics about the church. They refused to answer the questions about doctrine. They said that the questions are “asked on behalf of a synod with whose dignitaries the consistory has no communion of faith or confession.” The classical board sent another set of questions with a demand that Utrecht comply, but they received the same response. Then the classical board said they would send a committee of two people to ask the questions in person. Utrecht said that they would not receive the committee and the committee didn’t come. Eventually the bureaucracy accepted the position of Utrecht. The ultimate conflict was delayed. As for Abraham Kuyper, his stay in Utrecht wasn’t very long. In 1870 he took a call to the enormous Hervormde Kerk in Amsterdam. 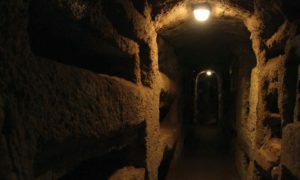 There was one church for the whole city, but it had several worship services, dozens of elders, and numerous ministers. Of course, there were thousands of members. This was one of the most influential churches in the whole Hervormde Kerk. Now Kuyper was there as one of the ministers. This church was largely heading in an orthodox direction. His inaugural sermon dealt with the doctrine of the church. Kuyper gave a clear indication of where he was going with his principles. He emphasized the autonomy of the local church and criticized the idea of synodical hierarchy. The inevitable conflict with the bureaucracy was looming. Things were pushed further along in 1871. It was Easter and a Rev. P. H. Hugenholtz was on the pulpit for one of the services in Amsterdam. He denied the bodily resurrection of Christ. A member of the church objected to this sermon. He wrote a letter to the consistory and he asked that Hugenholtz be deposed along with any other liberal ministers like him. The consistory couldn’t make a decision like that – the discipline of office bearers was something that the classical board had to deal with. So they forwarded the request to the classical board. And what did they do? They said that the historicity of the resurrection of Christ was not something that ministers were required to believe. There was freedom in the Hervormde Kerk to believe that Christ did not really rise from the dead with a physical body on the third day. Hugenholtz got a pass. However, seventeen elders from the Amsterdam church were fed up. They made a public statement to the church in March of 1872, almost a year after the original sermon. They declared that they were no longer going to attend church when liberal ministers were preaching or administering the sacraments. They encouraged the rest of the congregation to do likewise. By sitting and listening to these heresies, the elders and members were saying that these things weren’t really so concerning. They needed to take a stand. Not everybody in the church saw it the same way. About 1,200 members signed a protest against the seventeen elders. The consistory appointed Abraham Kuyper to write the reply to these members. It turned out to be a 144-page brochure. As a result of the leadership of Kuyper and others, the consistory stood behind the seventeen elders. I just mentioned Kuyper’s brochure. He was a prolific writer. In 1871, he started a weekly newspaper, The Herald (De Heraut). This newspaper was an important means through which Kuyper spread Reformational thinking, and it was popular. In 1872, he established another newspaper, this one a daily entitled The Standard (De Standaard). This periodical was used mainly to spread his political ideals. On top of that, he cranked out many books dealing with a variety of topics. Some of them have been translated into English, for instance his book on worship (Our Worship) and a thick book on the Holy Spirit (The Work of the Holy Spirit). In 1874 there was another major change in Kuyper’s life. He officially became involved in politics and was elected as a member of Parliament for the Anti-Revolutionary Party (ARP). For some time already he had been involved with Groen van Prinsterer, one of the leading figures of the ARP. Van Prinsterer urged Kuyper to stop merely talking and writing about politics and actually take action. So he did, and now he was faced with a dilemma. According to Dutch law, he could not be both a minister of a church and a member of Parliament. He would have to choose. He chose to resign as a minister of the Hervormde Kerk in Amsterdam to enter the political realm. For a few months he stayed on as an elder of the church, but this proved too much. Until 1882 (when he again became an elder), his official ecclesiastical status was just that of a retired minister. Yet that doesn’t mean that he stopped thinking or writing about theology. It also didn’t mean that he stopped showing leadership with regard to concerns about the Hervormde Kerk. It also didn’t mean the end to his own spiritual development. Up to this point, Kuyper was still not completely confessionally orthodox. This is reflected in some strange events in 1875. Kuyper became entangled with the Methodists. Methodism was a religious movement originating in England with John Wesley. Most Methodists in history have been Arminians – which means that they deny the doctrines of grace found in the Canons of Dort. They also put a lot of emphasis on revival meetings and having spiritual experiences, especially a conversion experience. In April of 1875, Kuyper wrote an article in The Standard in which he was appreciative of some Methodist evangelists. 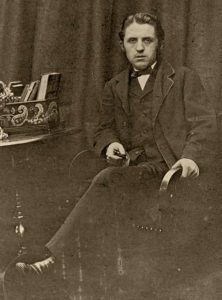 Shortly afterwards, Kuyper went to England and attended a revival campaign. At one of these gatherings, he even administered the Lord’s Supper. When he came back, he continued to gush about the Methodists and appeared to be leaning in their direction. Then quite abruptly, there was nothing more from Kuyper on this. In the quiet solitude of suffering that I experienced in Nice, my soul was transplanted to the firmness of the firm and energetic religion of our fathers. My heart had indeed yearned for it before, but it was only in Nice that I took a resolute decision. He was about 38 years old. In the summer of 1877 he resigned his seat in Parliament and took on a new challenge: the development of Reformed higher education. At the end of 1878, Kuyper had mobilized enough people to form a society that would endeavor to set up a university. Finally, in 1880, the university opened. 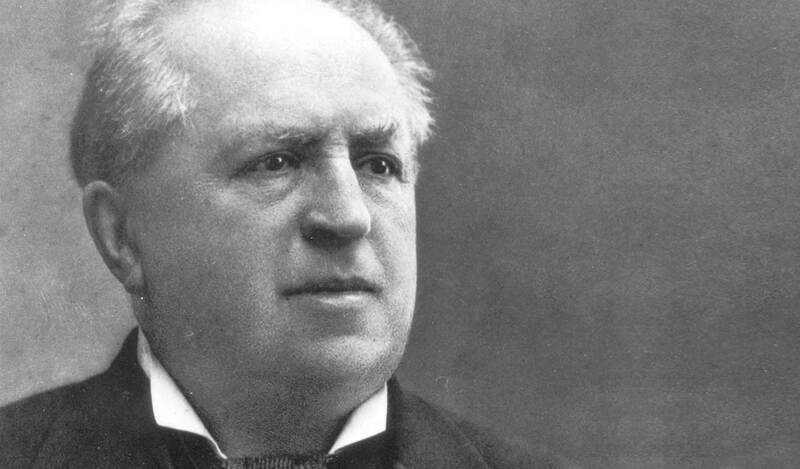 Abraham Kuyper was at the helm of the Free University of Amsterdam and he was also one of the theology professors. The Free University becomes important in church history because it offered an alternative to the liberal seminary training in the state universities. But at the same time, it was an independent institution (a Free University), not under the oversight of any church. The first point became a factor in the Doleantie. The second point became a factor in the discussions regarding unity between the Secession churches and the Doleantie churches. In the 1880s, Kuyper also resumed his work as an office bearer in the Hervormde Kerk in Amsterdam. He became an elder again in 1882. He was enmeshed in the struggles of the Amsterdam church with the synodical hierarchy of the Hervormde Kerk. Kuyper showed leadership both inside the consistory room and outside. In 1886, when the Doleantie happened, he was part of the consistory that was suspended and then deposed by the bureaucracy because of their refusal to issue attestations to liberal members. He then led the deposed office bearers and concerned members to form what they called the Nederduitse Gereformeerde Kerken (“Low German Reformed Churches”). Together with the consistory, he organized an ecclesiastical congress of concerned members in early 1887 in Amsterdam. They decided to throw off the yoke of synodical hierarchy and form a new federation where the autonomy of the local church was honored and where confessional orthodoxy was taken seriously. There was another meeting in 1887 and there it was decided already to pursue unity with the Secession churches, the churches that had already left the liberal Hervormde Kerk back in 1834. That decision would lead up to the Union of 1892 and Abraham Kuyper would be extensively involved with those discussions as well. Through the 1880s and early 1890s, Kuyper continued to teach theology at the Free University. But in 1894, he was called back to state politics. He was elected again as a member of Parliament. He continued to serve in that capacity until 1901. That year he became the Prime Minister of the Netherlands. His time as PM was beleaguered by various controversies. He only served about four years. By this time, Kuyper was 68 and he “retired.” He took a year off and did some travelling. In his “retirement” years he again served as a member of Parliament on several occasions, and then his last political appointment came in 1913. He was elected to be a Dutch Senator. However, he was getting older and was starting to slow down. He reached the age of eighty-three and then God called him home. That was on November 8, 1920. Figures like Abraham Kuyper simply do not exist anymore. You will look in vain for someone who effectively combines being a Reformed pastor, professor, politician, journalist and even prime minister. His accomplishments are all the more remarkable when we remember how muddled his theology was in his early life. God made use of such a mixed-up man to make such an enormous impact. Glory be to God! See James D. Bratt’s Abraham Kuyper: Modern Calvinist, Christian Democrat. The story was embellished later by Kuyper. There is some question about his public profession of faith. Praamsma (41) says that he did it right before being declared eligible for call. Bratt (23) says that it took place earlier, in 1857. Apparently De Heraut became a weekly religious supplement to De Standaard.